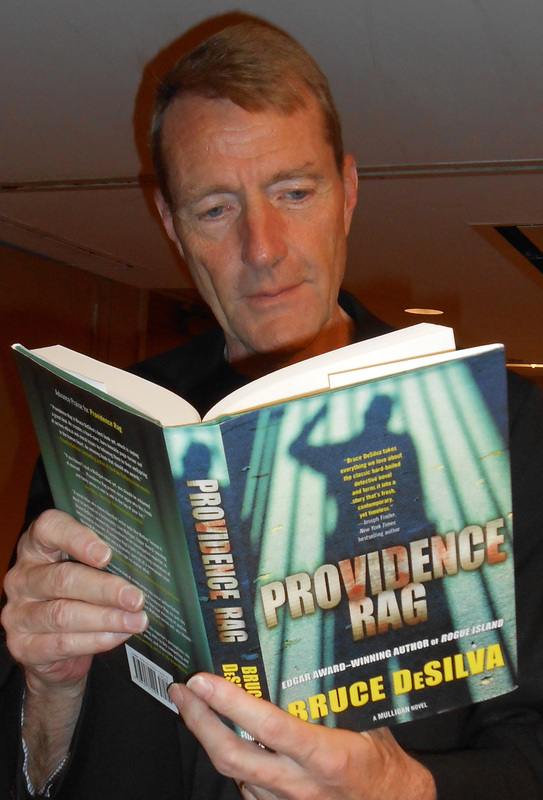 ← Who’s Reading “Providence Rag” Now? It’s Mystery Writer Timothy Hallinan. I’m guessing you all know who Lee Child is, but in case someone out there doesn’t, he’s the author of the best-selling Jack Reacher novels — and one of the finest thriller writers ever. I snapped this photo of Lee this week at Thrillerfest, a large conference for authors and fans, in Manhattan. This entry was posted in Uncategorized and tagged best selling, Bruce DeSilva, Jack Reacher, Lee Child, Providence Rag, thriller writers, Thrillerfest. Bookmark the permalink.